After ruling over the world of social media, Facebook has divulged in the matters of romance and is rumored to release a dating site for its users. Jane Manchun Wong, an app researcher, spotted this feature. She posted photos claiming that these were a feature still in its test and trial phases. The company would not affirm or deny these claims but has said to be testing this feature and Facebook Dating could be a reality soon. 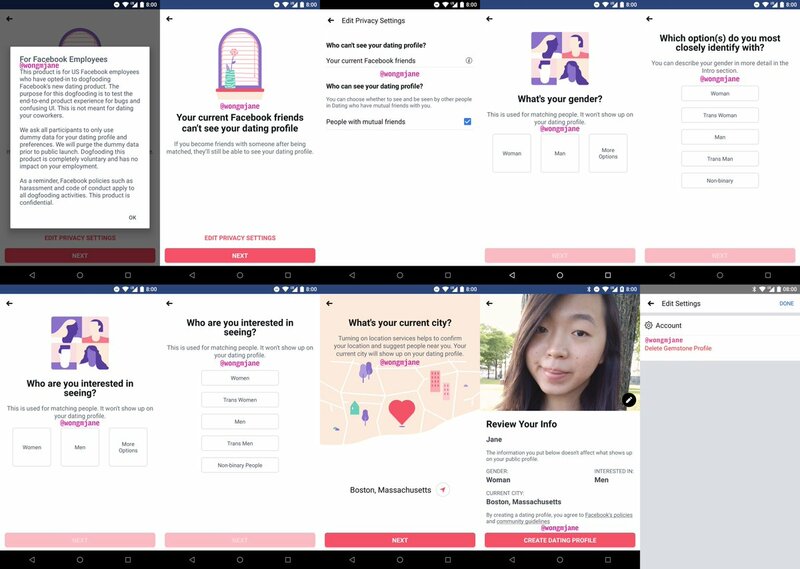 From what Wang has provided in her photos, it seems as though the dating profiles of the users will be concealed from the Facebook friends in order to stay safe from a possibly embarrassing situation. The feature will also have a number of gender options, in “Who are you interested in seeing?” tab, like, non-binary, trans man and trans woman. Plus, users can delete their dating profile at anytime. For now, there is no confirmation about a release date or even an estimate as to when can it be expected to get released. For now, either use the already available forums, like Tinder, OKCupid, Hinge, Bumble and others that already provide the similar services or follow the old fashion dating method of actually finding someone in person that you might want to spend the rest of your life with.